Thank you for your lovely cards, warm wishes and generous donations. Each gift and prayer is the seed of hope for the New Year which lies ahead of us. Richard and I took time out to fly to Idaho and visit our families during Christmas week. The countryside was blanketed with snow and there were lots of darling little children whose laughter filled the air, brightened our hearts and gave us hope. Your dear family is remembered, daily, in our prayers and we beg God’s abundant blessings upon you throughout the New Year. We face the New Year with the power of making the world a happier place in which to live. This power is called KINDNESS! Kindness adds sweetness to everything and is constantly winning souls back to God. It opens hearts that are closed, enlightens minds that have been darkened and gives hope to those who are on the point of despair. 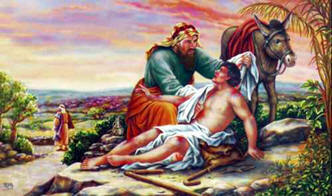 Kindness has converted more sinners than zeal, eloquence or learning. Through kindness gloomy men smile, angry men grow meek, sick men cease to groan, hope is given to the dying, those who are bitter have their hearts sweetened and men turn away from sin. KINDNESS IS INFECTIOUS! One kind action leads to another. One single act of kindness throws out roots in all directions and fresh new trees spring up everywhere. Every step taken on the road to kindness is a leap towards Heaven. Inward happiness follows kind actions. Proud men are seldom kind men. Humility makes us kind and kindness makes us humble. A kind man is never absorbed in self; he is sympathetic, genial and brave! If a man habitually has kind thoughts of others, he is not far from being a saint. Kind thoughts are more rare than kind words or kind deeds. CRITICISM IS DEATH TO KINDNESS! By sweetening the fountain of our thoughts, our bitterness in the judgment of others will disappear. At any risk, be it the loss of our lives, there must be an end to our unjust and ignorant judgment of others. No one can judge men but God and He does so with perfect knowledge, merciful ingenuity and undisturbed compassion. The habit of judging others is so nearly incurable; it is sure death to the soul. By cultivating kind thoughts of others, we are securing our place in Heaven. A kind man is an apostle and an evangelist: an apostle, because he brings men to Christ; an evangelist, because He portrays Christ to men. Do you wish to be happy? Be silent in suffering and radiate God’s Love to all men by Your KIND THOUGHTS, Your KIND WORDS and Your KIND DEEDS! Let us, at once, grasp that the war raging universally is a battle against the Holy Ghost! The Immaculate is so closely united with the Holy Ghost that She is called His spouse. She is, so to speak, the personification of the Holy Ghost! It is impossible to separate the Holy Ghost from Mary the Immaculate, since She is the instrument He uses in all He does in the order of grace. Clearly, then, this raging battle is most surely a war against the Immaculate Mother of God! It is a full attack on Truth, Unity and Love Itself! Arrogant and well-disciplined by an inhuman mystique, the enemy applies methodically, point by point, his plan of extermination. The greatest crime of this enemy is that it succeeds in the perversion of the very virtues of Christianity. Only Saints can resist this poison. How often do we not return hate for hate toward these ruthless criminals and butchers! We even justify our hatred toward them. When slapped on the right cheek, instead of turning the left, we return the slap with a resounding blow. Even if we gained a temporal victory, the enemy has succeeded in infecting us with his deadly virus. To live in an atmosphere of hatred and not be contaminated by that hate, is as miraculous as raising the dead to life. Try to realize that, in Mary, there is a magnificent palace built of gold and precious stones, worthy of the great King Who dwells there, and try to realize what is true: that you are contributing toward His splendor and glory by honoring His permanent dwelling place – the Immaculate Heart of Mary! Through obedience, Mary was espoused by the Holy Ghost. By Mary’s Immaculate Conception, an implacable enmity arose between Her and the ancient adversary, the devil; thus, She was able to intimately join in Her Son’s mortal struggle against Satan, sin and death. Mary shares completely in both the victory of Jesus Christ and in the royal power won by right of conquest. From Christ, then, and through Her, all grace comes to us. Delegate of the Infinite Mercy, She is the crucible in which all our dross is consumed by the flame of sacrificial love and made into a worthy offering of purest gold. As Mother of Christ the Head, She is therefore Mother of the Mystical Body. Spouse of the Holy Ghost, She receives only to give and She takes only to transform. There is only one obstacle which is insuperably destructive of Her redemptory action – our voluntary refusal of it. All that matters is to surrender to Her sanctifying action and to be a ready instrument in Her radiant hands. She is the Immaculate, the direct way to Christ, the weapon of conquest with which to establish the reign of Jesus Christ universally from one end of the earth to the other! Nothing must sorrow the Holy Ghost quite as much as the mediocrity of souls avowed to the Blessed Mother. Let us sacrifice our lives a thousand times to sanctify them. There is not one single heroic act that we cannot accomplish with the help of the Immaculate! We live in a time of great penance. Let us, at least, know how to profit by it. Suffering is good and sweet to him who accepts it willingly. How eternally efficacious for the salvation of souls is this surrender of our wills to the Will of God! The evil is very great and time grows short! Why have we not known how to save IN TIME the golden grain of truth stolen by the “Father of Lies”? It is all so simple. We must belong entirely to the Immaculate Heart of Mary, absolutely and unconditionally. Our sanctification is Her mission. Let us conquer for Christ all souls in the entire world to the end of time … through the Immaculate Heart of Mary. The Principal Dogmas of our Faith are from Mary, in Mary, with Mary and through Mary. Looking at Mary, these Dogmas are read, embraced, loved and believed. She contained and contains the Gospel which She offers to us all through the Mysteries of the Holy Rosary! True Christians can be recognized by this sign: LOVE FOR THE MOTHER OF GOD! “My Immaculate Heart will be your refuge and the way that will lead you to God.” From the Heart of Mary flows the entire love-filled outpouring of the Trinity into souls. Mary draws mankind to Her Immaculate Heart (Consecration), leads them to God (Conversion) and calls them to participate in the building up of Christ’s kingly reign (Reparation). If I remain loyal to Mary, my faith will be safeguarded. By my consecration to Mary, I give Her full possession of my body and soul, and permission to do with them as She knows will be best for my salvation and the glory of God. Mary’s God-given mission is to make me a saint. “At this moment, on this day, I freely choose to give you my full permission to do your work in me.” As soon as Mary hears these words, She flies to us and begins working a masterpiece of grace within our souls. She continues this work for as long as we do not deliberately change our choice and take back our permission. Mary is a gentle Mother. 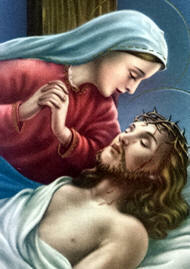 She makes the lessons of the Cross into something sweet and She pours Her motherly solace into our every wound. Giving to Mary permission to do Her work is the surest, easiest, shortest and most perfect means of becoming a saint. What joy to be consecrated to Jesus through Mary! From this day forward, dear Jesus, whenever I embrace You, may it be with the arms of Mary. Whenever I kiss You, may it be with the lips of Mary. Whenever I sing to You, praise You and thank You, may it be with the voice of Mary. True Christians can be recognized by the love they have for the Mother of God. Mary will make of us God-Bearers. Like Mary, let us carry the divine presence of Jesus Christ into the whole world. This entry was posted on Monday, January 28th, 2013 at 4:51 pm and is filed under NewsFlash, Saint Philomena. You can follow any responses to this entry through the RSS 2.0 feed. Both comments and pings are currently closed.